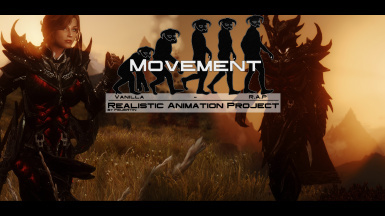 Realistic Animation Project - Movement is the second step in my journey to evolve as many animations in Skyrim as possible. 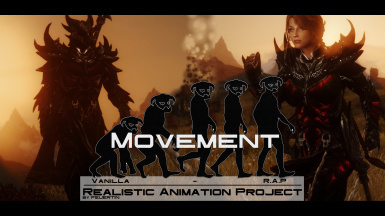 R.A.P - Movement offers you reworked movement animations for male & female. Starting with neutral animations for both genders and many more different styles to come in the future! Have you ever felt like the animations in Skyrim feel a bit stiff, generic or just plain old and rusty? And the feeling of freshness after installing new animations and replacers? I certainly have. That's why I wanted to start making my own animations, to keep this feeling for as long as possible. Last year I started with Magiska - Spell Casting Animations. I think I have learned a few more things since then and now I am ready for the next step. In my opinion animation is a very powerful tool, it's what makes any game feel alive, believable or real. Games like Witcher 3 are a great example of this. 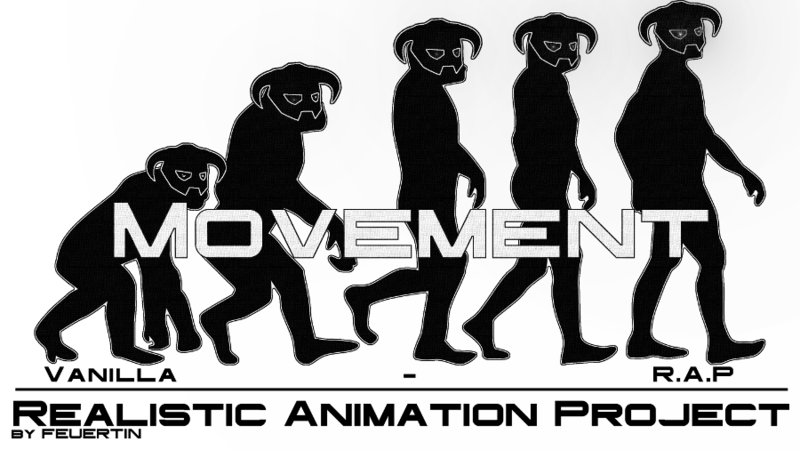 R.A.P - Movement offers you reworked movement animations that include complete working functionality. Ever noticed the odd animation without footstep sounds, sneaking animation without proper camera adjustment or sprinting animation without the camera shake? Currently has Neutral styles for male & female plus a feminine variant for females. More styles will be added in future updates!! For the near future my focus will shift more towards combat & systems, so don't expect more styles just yet. Watch the videos above to preview the animations! - don't forget to run FNIS for Users, if you chose to install an animation for PCEA2. Permissions: -You are NOT ALLOWED to reupload these files to any other site. -DO NOT use these files in any project WITHOUT my permission. I will post minor and major updates on my facebook page from now on. Most major updates will probably come in the form of videos, so if you're interested consider checking out the channel on YT. What are some of the mods used in the screenshots / videos? -if there is something else you spotted and would like to know, feel free to ask! 1. Q: I don't like some of the animations! 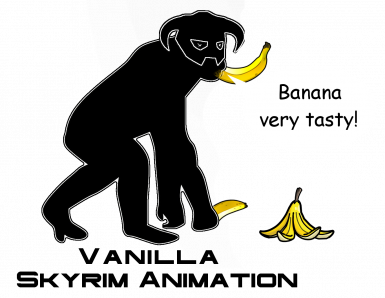 A: Then use a different one! 2. Q: I found something that looks weird/clipping. What's up with that? A: Please leave a comment, describing which animation is causing it, which armor and what it looks like . 3. Q: What mods do you use in the screenshots & videos? 4. Q: I don't like any of these animations! A: Not a question. None shall pass!